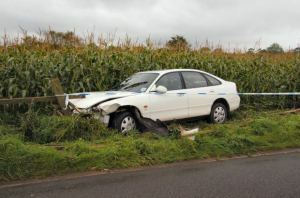 According to a recent study by WalletHub.com, Florida is the worst state to be in a car accident. The website ranked states by issues such as rates of uninsured drivers and legal protection. The study found that 23.8 percent of Florida drivers are driving without insurance. It also concluded that coverage requirements for Florida drivers are low. In Florida, motorists only need $10 000 of property damage liability and $10 000 for personal injury protection coverage on their insurance in order to drive legally in the state. According to WalletHub.com and the insurance industry, Florida does require bodily injury coverage but many motorists opt not to pay for it. The study’s findings probably won’t be a surprise to many local drivers in Miami and Florida. If you drive in the city or anywhere in the state you are sure to see distracted driving, drunk driving, and general negligence on the road at least some of the time. There are drivers driving without licenses or insurance and others simply not looking where they are going. 1) Get the best insurance you can afford before you find yourself in a crash. Go beyond the minimum requirements and be sure to get uninsured and underinsured driver coverage. If you are in a crash with someone who does not have insurance or with someone who has only minimal insurance, it is unlikely that the total costs of your car repairs, medical bills, and other expenses will be covered unless you have your own coverage. 2) Become the best driver you can be. There’s not much you can do about how other people drive. But you can become a better driver by getting refresher courses, defensive driver training, and racing classes. You can also take good care of your car so that it handles properly. 3) Know the name of a good personal injury attorney. Since medical costs are so high in Miami and Florida and drivers may be uninsured, it is a good idea to have the name of a legal firm in mind. If you are ever in a crash, you should contact your attorney at once to get legal advice and an evaluation of any insurance offers your insurance carrier has made. Avoid signing anything until you speak to a lawyer. 4) Know what not to do after a car accident. If you are ever in a collision, exchange contact information with the other driver and report the crash correctly. Never get into a debate or argument at the scene of the accident and never apologize to the other driver – all of these simple actions could harm your claim. Get immediate medical assistance and legal advice about your situation to protect yourself and your rights. Have you been injured in a car crash? Contact Flaxman Law Group today for a comprehensive and confidential legal consultation about your situation. There is absolutely no cost for this service.